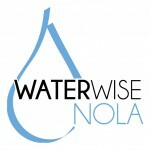 The Louisiana Urban Stormwater Coalition is an EPA and LDEQ-supported nonprofit organization that assists parishes, municipalities, neighborhoods, and MS4s in meeting stormwater program goals through education. In this section, resources are available to assist in complying with the public outreach requirements of urban stormwater permits, such as strategies for involving and engaging the public, as well as techniques for organizing activities in your community. To receive email updates from LUSC or to join, please fill out our Subscribe form HERE.